Der Leichttraktor ist ein deutscher leichter Panzer der Stufe 1. In den Jahren 1930 bis 1934 wurden vier Prototypen mit unterschiedlicher Bewaffnung, Besatzungsstärke, Gewicht und Laufwerken hergestellt. 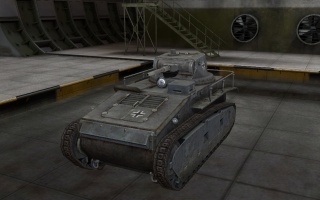 The first German tank available to the player, the Leichttraktor starts with an underpowered 85hp engine and the 3.7 cm KwK 36 L/46.5, although this can be quickly upgraded. 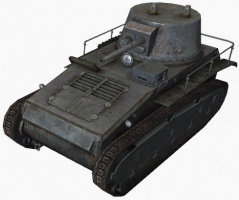 Adequate armor and performance characteristics make it a very good starting tank. 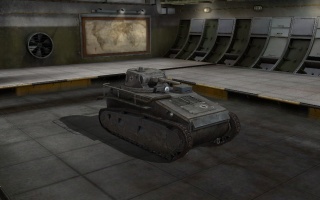 The tank is nicknamed "LoLTraktor" and is the basis of a fan-made comic series. Der Leichttraktor führt zum Pz.Kpfw. II, Panzerjäger I, Pz.Kpfw. I, G.Pz. Mk. VI (e), und dem Pz.Kpfw. 35 (t). Second most hit points of any Tier 1 tank. Tracks are covered from the sides and allow some side scraping actions. Good gun selection - 2cm has good reload, penetration and damage. 3.7 cm has excellent penetration, accuracy, damage and aim time. Best view range of any Tier 1 tank. Free repairs and very good stock gun with free ammunition means 100% profit margin when using this tank without consumables. Fairly large silhouette and the big lower hull plate is a favourite place for enemies to shoot. Poor mobility in stock configuration. Rear-mounted turret creates some peculiarities in handling and fighting. 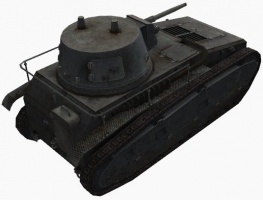 The Leichttraktor boasts easily the best stock gun of all the Tier 1 tanks in the form of the 3.7 cm KwK 36 L/46.5, which has excellent penetration, superb aim time and rate-of-fire, and good accuracy for a Tier 1 tank. It remains a viable option even after the 2 cm Breda autocannon has been unlocked. Overall the Breda is more useful in most situations as an autocannon, but the KwK 36 does have much better peekaboo potential and is much better if one must engage at longer ranges. 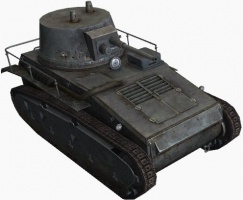 Still, being nowhere near as agile as the T1, it makes more sense to stick with the 37mm gun as an all rounder, allowing very good sniping abilities, and still allowing some urban combat if needed. The Breda is the best of the two for supression, but suffers at peekaboo due to the very long firing time especially when shooting all 12 rounds, best weapon for mid range shooting and more reliable penetration then the KwK. The armor is in between the thickness of the MS-1 and T1 Cunningham, thick enough to bounce shots and yet light enough to keep the tank at a weight of 7 tons. 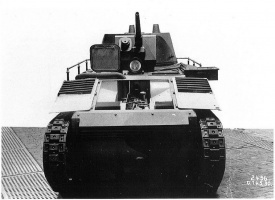 At Tier 1, armor is generally not something to be relied on, although the Leichttraktor's rear-mounted turret allows it to make use of reverse-angling to increase the chance of bouncing incoming shots. 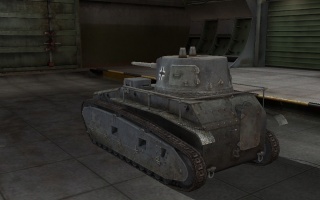 In exchange, the Leichttraktor generally should not drive forwards around, corners, as it allows the enemy to shoot the tank before it is capable of responding, or worse, detracking it, leaving it helpless. Instead, it is generally better to reverse the tank to take a peek around a corner. Sidescraping is perhaps very good in this tank, and the only spot that can be reliably penetrated when sidescraping is the turret and the top hatch (if it is even exposed). The engine is powerful enough, slightly more sluggish than the 100 hp it used to have, but 85 will easily be enough for most purposes. The only main weakness of the Leichttraktor is its huge front crew hatches, which is nearly unprotected and can be easily hit by enemy fire. The engine is located at the front, meaning that it is extremely easy to knock it out from a frontal hit, and while fires do happen, they don't seem all that common to bother bringing a fire extinguisher unless one is truly competitive. One of the Leichttraktor's best features is its view range, which is 30 m more than any other Tier 1 tank. This allows it to spot enemy tanks and get its shot off first. 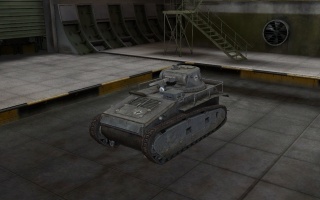 Although this may be overkill for a tier I, coated optics turn this tank into one of the best scouts in this tier, with a view range of ~341m (excluding perks ect), being just under another tier I tank with binos mounted and above most if not all tier2 tanks without them using equipment. While binos are even better, they are overkill in most situations as the maps wont allow straight line sight that far, so optics are preferable if you are willing to spend 500K credits on such a low tier. 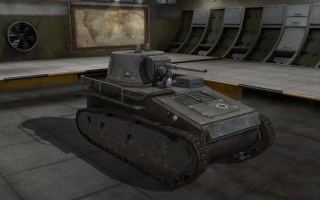 Please note the Map Restrictions for Tier 1 tanks if you consider purchasing a camouflage skin/paint job for this tank, mostly summer maps are ever seen. 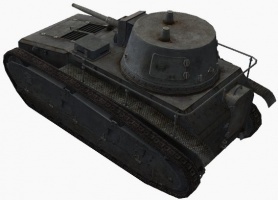 With the addition of Winter Himmelsdorf however, consider winter camouflage on all tier 1 tanks now. As only one module is available for research, get the gun and move on. Germany was severely restricted in its ability to develop new military equipment and armaments by the Treaty of Versailles that ended World War I. 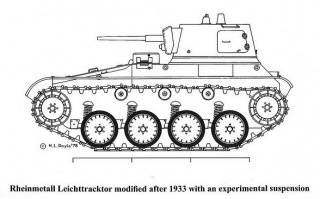 To avoid this inconvenience, Germany implemented a secret program, disguised as the development of a tracked agricultural "Kleintraktor", or "Small Traktor". 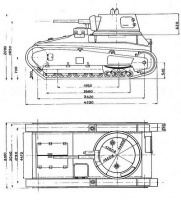 In truth, the Kleintraktor program was intended to research and develop a suitable chassis and propulsion system for tanks and other armored military vehicles. Development of turrets and armaments was to follow closely under utmost secrecy. 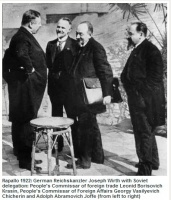 Two German-Soviet treaties, the Treaty of Rapallo signed in 1922 and the Berlin Friendship Treaty of 1924, enabled Germany to test their "Kleintraktor" designs in the Soviet Union, not only under high security and secrecy but with the Soviet's direct encouragement and joint participation. These treaties would later prove to be ones the Soviet Union would regret. The testing facility was operational from 1926 to 1933. It was called Panzertruppenschule Kama, and was located near Kazan in the USSR. The location was a joint military testing ground and tank school for the Red Army and the Reichswehr. It was codenamed Kama from the two words kazan and malbrandt. Oberstleutenant Malbrandt was assigned to select the location for testing. 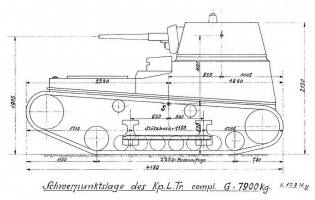 Inspecktorat 6 (K) of the Wehramt prepared its requirements for basic functional characteristics for a light tank. These functional requirements were then given to Heereswaffenamt Pfuefwesen 6 for trial pieces (Versuchssteucke). Waffenpruefwesen 6 (Wa Prw 6) then created conceptual guidelines and technical specifications to provide a basis for detailed designs, and awarded development contracts to design companies. The design contractors prepared overview drawings and general descriptions of their proposed design. The proposals were reviewed and changed by Wa Prw 6 and In 6 (K) prior to awarding development contracts. The requesting organization controlled the funding, in this case, In 6 (K). In 6 (K), development and procurement programs for new combat vehicles were approved as line items in the annual budget for overall military expenditures. 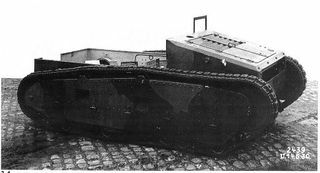 Development of a light tank was initiated on 14 March 1928, under the program codename "Kleintraktor", later renamed "Leichttraktor". 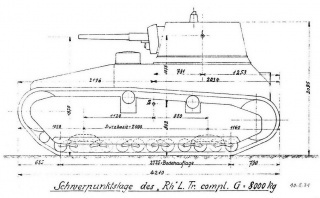 Preliminary requirements (25 April 1928) at a meeting between the representatives of the Wehramt and prospective developers outlined the basic need for a fully-tracked vehicle with a fully-rotating turret, which should be equipped with a semi-automatic 37mm gun and one auxiliary 7.92mm light machine gun. The vehicle should be equipped with an engine that has an output of at least 60hp. Further specifications and changes were spelled out on 25 May and 10 June 1928, and the project name changed from "Kleintraktor" to "Leichttraktor". The project required the development of a multipurpose platform, which should not only form the chassis of a battle tank, but also a ration supply vehicle (Verflegungsnachshub), ammunition transport (Munitionstransport), and industrial applications vehicle (Wirtshaft). Weapons were to consist of a semi-automatic 37mm cannon housed together with a light machine-gun in a fully-rotating turret. The ammunition supply was to be a minimum of 150 rounds for the cannon and 3000 rounds for the machine-gun. The crew were to consist of four members: a gunner (Kampfwagen-Schuetze), commander (Kampfwagen-Kommandante), driver (Fahrer), and radio operator (Funker). Armor was designed to resist S.m.K. steel core armor-penetrating rifle shells, and important equipment was to be protected against 13mm cannon shells. Front and side armor had thicknesses of 14mm. Road speed was to be around 25-30 km/h, and soft-ground speed to be 20km/h. The Leichttraktor was to carry 150 liters of fuel and have a range of 150 km or 6 hours of operation time. The vehicle was to be able to climb a 60% (31°) pitch for no less than a 1 km stretch with a speed of at least 3 km/h, as well as climb a step and ford a river depth of 60 centimeters. 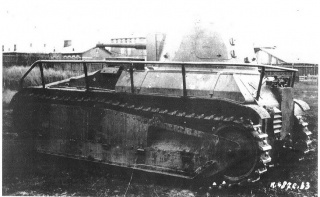 Additionally, the tank was to cross trenches of 1.5 meters in depth and have a ground clearance of 30 centimeters. The specific ground pressure was to be a maximum of 0.5 kg/cm^2. The vehicle was to be equipped with a radio (with telegraph key) (Funk-Telegraphie-Geraet) with a stationary range of 3 km, a mobile radio range of 2 km, and a Morse code range of 17 km. 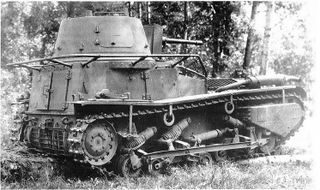 Additionally, the vehicle needed to have a smoke dispensing device (Vernebelungspapparat) with the ability to dispense smoke for 20 minutes, and a poison gas filter (Gasfilter). Finally, the design was not to exceed 7.5 tons in weight. 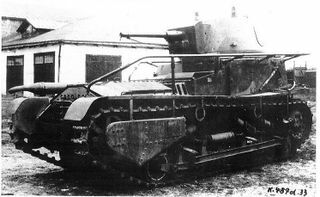 The first designs were based on the lessons learned from the development of the Leichte Kampfwagen I and II (LK I and LK II) (1918-1919), which only existed as prototypes. Krupp prepared preliminary drawings very quickly (preliminary drawings were dated 3 July 1928). 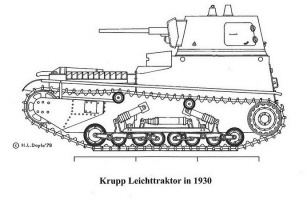 Besides the tank design, Krupp also proposed a platform for commercial and civilian applications called Leicht Zugmaschine (LZ) to maintain the cover story the development was an agricultural "traktor". The platform would be able to be equipped with plows, winches, and could serve as a truck. One of the proposals was for a transport vehicle that would be able to transport 15 people, including the driver. 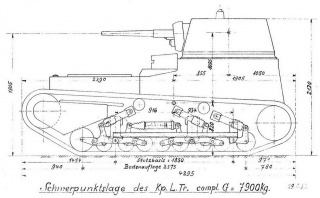 A modification for an artillery spotting vehicle (Beobachtungswagen) was also proposed. 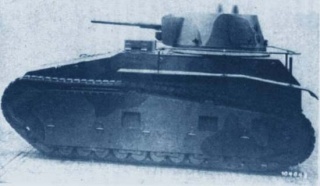 This variant had no turret, but had a fully-armored superstructure and retractable observation instruments. This modification was also proposed as an ambulance, whose crew would consist of two drivers, a physician, and two assistants. 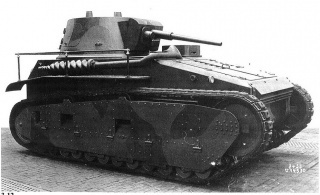 A self-propelled gun was also designed with a 7.5cm field gun, but its ultimate production was considered unlikely as the vehicle had very limited space for the crew and ammo. Krupp had to choose between the 100hp Maybach engine or the 15/70/100hp Daimler engine with injectors. The Maybach engine was quieter because of its lower speed (1900rpm versus Daimler's 2800rpm) but was significantly larger and weighed more (400kg versus Daimler's 362kg). The Maybach was also more expensive, but more fuel efficient. In the end, the Daimler engine was selected for the design as it would keep the engine compartment smaller. In the designs, the engine was positioned in the front with cooling on the right, and was protected by an armored grate; fuel and steering were on the left. The engine had a starter magneto and an electrical generator. If the starter failed, the engine could be started using a crank. Cooling was provided by twin fans with an engine-driven belt. A Krupp 4-speed, 3-ton, truck transmission with a 2-speed transfer case provides eight forward and two reverse gears. A drive shaft with two universal joints connected the transfer case to the rear drive housing that, with the aid of a differential and two spur gears, transferred power to the rear track drive-wheels. For steering and braking, there were two brake drums with Cletrac auxiliary wheels on both sides of the differential, which help slow the track when the brake is applied. Two rubber tracks (Gummiraupen) were used. Later experimentation with cable or transfers would decide which type to implement. 2x3 road wheel pairs were mounted on each side that, with swinging arms and springs, were designed to provide a soft suspension for driving on roads and crossing obstacles. An additional fixed road wheel was located below the idler wheel and provided the track with good support while crossing obstacles. Both idler wheels were adjustable, and had spring tensioners to prevent the track from breaking when driving over obstacles. The track returned forward over a track box and two support rollers. The track box itself was bolted to the hull and served to hold the springs and to stow equipment. 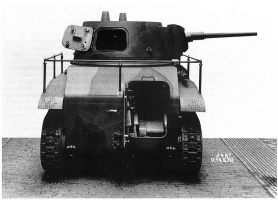 The driver would sit on the left and have vision slits (optical glass) in an armored head-housing (Kopfgehause). 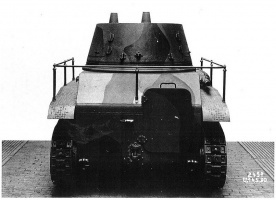 The 3.7cm Geschütz-Turm was mounted on the roof of the armored hull behind the driver. The gunner (Richtkanonier), commander (Kommandant), and loader (Landekanonier) sat in the turret. 150 rounds of 3.7cm ammunition were stowed in armored panniers to the left and right, between the tracks. Three 20 rounds were stowed in removable holders, and two 15 rounds were stowed horizontally in individual packing. The ammunition for the machine gun was stowed under the floor plates and in the track boxes, where the smoke dispensers were also located. The radio operator (Funker) sat close to the floor to the right and somewhat behind the driver. The radio sender and receiver sat directly in front of him. An 80amp-hour battery for vehicle lighting and air filtration was located on the floor directly behind the driver. The air filter was mounted on the rear access hatch, and the hatch was sealed with a rubber gasket. 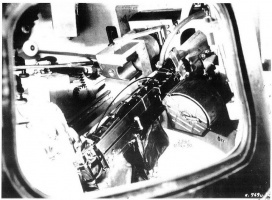 A firewall in the instrument panel for the driver completely sealed the engine compartment from the rest of the hull, allowing positive-pressure to be maintained in the crew compartment by the filter. Due to the high mounting of the cooling system, the vehicle was able to ford rivers up to 80cm deep. After review by Wa Prw 6, the 80/100hp, 6 cylinder/7 liter Daimler-Benz Lkw.-Motor Type M36 was favored because it was able to achieve 50hp at 800rpms to 100hp at 1900rpms, with a maximum torque of 45 mkg @ 600-1200rpm. It was also decided that a 3-speed Friedrichshafen-Soden-Getriebe with claw shifting was be installed with a Krupp auxiliary gear instead of the Stroboskop. An observation cupola (Beoboachtungskuppel) with protective glass (Kinonglass) was also decided to be used. On 16 June 1928, Oberstlt Gaissert (head of Wa Prw 6) sent a letter to Fried. Krupp A.G.,Abt. A.K., Essen, Rheinmetall, Duesseldorf, Daimler-Benz, z.Hd., and Dr. Porsche, Stuttgart-Unterturkheim, with a proposed contract between the Heereswaffenamt and the firms for the design and production of two Klien-Traktoren. Krupp agreed, and the contract was signed between Generalmajor Buchholz from Heereswaffenamt(15 October 1928) and Herr Hageloch from Krupp (24 October 1928). However, Krupp's contract stated they would not include parts of military nature, consisting of the armament, 14mm thick armor, and additional technical equipment. Carbon-steel was to be used for the hull and a fixed price of 230,000 Goldmark was established for the contract/construction of two prototypes. Rheinmetall also accepted the contract for two prototypes, as well as the secret development of the armaments for all four prototypes. In July 1928, Daimler-Benz emphatically declined the specific development contract, but would draw up the prototype for the supply vehicle (Nachschubfahrzeug). Krupp, in cooperation with Rheinmetall-Borsig, began work on the four contracted prototypes. 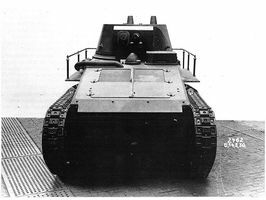 Both Krupp's and Rheinmetall's 4-man prototypes were powered by a 6-cylinder, 100hp, Daimler-Benz M36 truck engine and were were very similar in design, the main difference being the type of suspension: Krupp used coil springs and Rheinmetall used leaf springs. Both vehicles were known as Leichttraktors (VK 31) and were armed with a 37mm KwK L/45 with a -10/+30 degree vertical movement and a light machine-gun on a rear-mounted turret (designed and produced by Swedish AB Landsverk and Bofors). 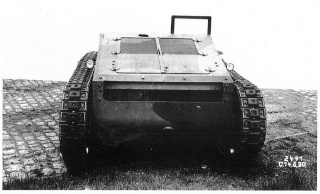 The Rheinmetall-designed Leichttraktor (L.Tr.Rhm) differs from Krupp's in that: 1) the fuel tanks were located in the track boxes; 2) the driver and radio man could sit beside the engine, allowing a better view and access to the engine; 3) the hull bottom was reinforced with ribs; 4) the use of a heavy-duty model 4-speed Soden transmission, assembled with the transfer case (with two short shift levers on top of the lid); 5) final drives for the track-drive wheels were located outside the hull; and 6) large brake drums for brake bands were mounted on the inside of the hull side. 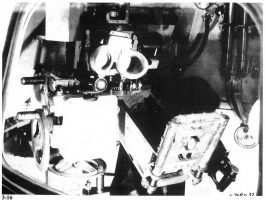 Additionally, there was a hatch in the hull rear-wall, a hatch above the radio operator, and a hinged rectangular vision cupola (Sehkuppel) above the driver. Kinonglas-blocks were mounted behind vision slits on three sides of the Sehkuppel. The width of these vision slits could be adjusted from 3 to 20 mm wide by sliding the adjustable plates. The weight of the Sehkuppel was counterbalanced by the coil spring. Preliminary tests at Krupp (without turret, which was to be assembled by Rhienmetal) proved to be a huge success. Inspecktorat 6 (K) and Wa Prw 6 were very pleased with the speed and maneuverability of the vehicle, and expressed special thanks to Krupp for such good service. 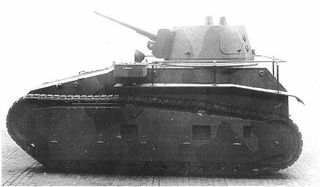 Four prototypes were built: two from Krupp and two from Rheinmetall. All four prototypes were finally assembled in the Rheinmetall facilities in Unterluess because Rheinmetall was also responsible for all four turrets. The prototypes were ready in May of 1930. 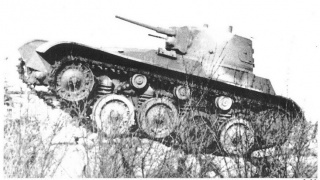 Rheinmetall-Borsig also produced a third prototype, an early Panzerjager, which was a three-man self-propelled mild-steel mount for a 37mm PaK L/45 gun. All four prototypes were sent to Russia for testing. The Leichttraktors by Krupp were designated Nr.37 and Nr.38, and those by Rheinmetall as Nrs.39 and Nrs.40. The prototypes arrived at the Kana testing grounds in June 1930. 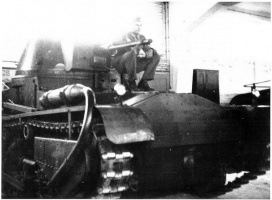 Overall, the Leichttraktor vehicles were considered a success during testing and were subsequently used for training in Kama, but were not seen as fully-ready for combat. In 1930, based on the testing at Kama, the radiator was strengthened and the Soden transmission was replaced with an Aphon one. The Leichttraktors were converted to dry steering brakes, the driving brakes were modified, the suspension was strengthened, and the drive wheels were replaced with harder ones. Cables were replaced with hydraulically-actuated steering brakes. Daimler modified the Nachshub-Fahrzeug suspension to nine double road wheels, a 2575mm track contact length (weight increased to 8400kg), and the Krupp Leichttraktor had spring suspension installed. 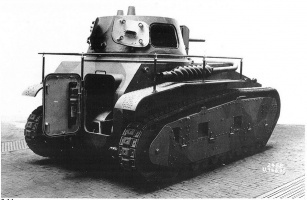 In 1932, Rheinmetall widened its Leichttraktor's twelve double road wheels from 86 to 90mm. Later, one was experimentally modified with four large diameter road wheels with spring suspension. Testing at Kama showed that the position of the machine gun, as well as the limited diameter of the turret ring, made loading the main gun more difficult and slower. Additionally, the gunner had to take command of the tank in certain situations. This lowered the rate of fire, made the commander redundant, and ultimately lowered the efficiency of the entire crew. As a result, it was concluded that the commander needed to be in the main turret as per the original design, and that in the future, a 12-hour clock needed to be used to communicate between the commander and the gunner. Also, it was absolutely necessary for the turret to be both electrically and hand-driven. Deflector and spent cartridge sacks proved useful for both the machine gun and the cannon, as the crew was not hindered by the spent propellent gasses, even though the hatches were always open for safety at Kama. No experience was gained in the question of riveted versus welded steel, as the turret was not made of armored-steel but of normal steel. In 1931, 289 units were ordered, but in 1932, the project was canceled in favor of other developments, such as the Panzerkampfwagen I. 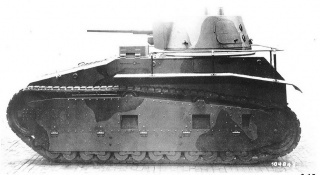 Together, Krupp and Rheinmetall produced only 4 prototypes. In 1933, cooperation between the Soviet Union and Germany ended and all four vehicles were returned to Germany. The Leichttraktors were sent to Heereszeugamt Spandau for overhaul. Further tests took place in the summer of 1933. During the winters of 1934 and 1935, they were stored near Berlin. In the summer of 1935, all four Leichttraktors took part in major maneuvers at the troop training grounds (Truppenuebungsplatz Munster Lager) to test the concept of Panzerdivision. At the conclusion of testing, the four prototype Leichttraktors were transferred to the newly established Tank Gunnery School (Panzerschiessschule Putlos) near Oldenburg/Holstein, where they were used to train crews for several more years. The tanks were continuously modified to aid in testing new designs for future light tank development. 1. Jentz and Doyle 2006, Panzer Tracts - No.3-1. Jentz, T.L. and H.L. 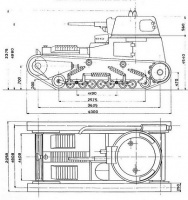 Doyle, 2006, Panzer Tracts - No.3-1 Panzerkampfwagen-III Ausführung A, B, C, und D development and production from 1934 to 1938 plus the Leichttraktor and Krupp's M.K.A., Jentz, Boyds, MD, 76p, ISBN:9780977164349. Diese Seite wurde zuletzt am 25. Oktober 2016 um 13:42 Uhr geändert.